A coLABoration between Art-el Gallery and Paper Magazine to house 2 art galleries, a cafe, 4 T-Shirt companies and a publication all under one roof. Art-el, previously based at The College and established in 2007, are a family run business whose experience and passion is focused primarily in Contemporary and Outsider art. Paper Publication is a platform and quarterly publication promoting local artists, designers and writers. CoLAB are now based at 51-53 Merchant Street BS1 3EE (Broadmead). 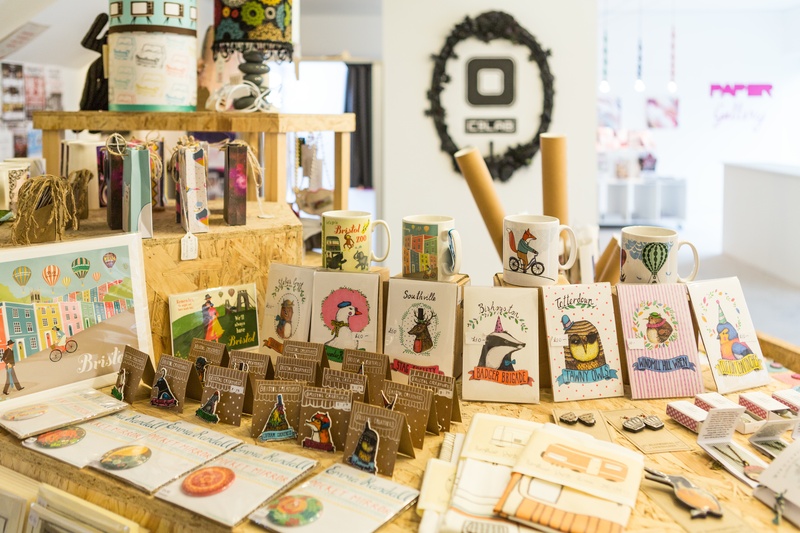 The building is a shared space between sister companies CoLAB and PAPER Artistic Development CIC, who work together as a creative hub and showcase; clothing, gifts, art prints and records. 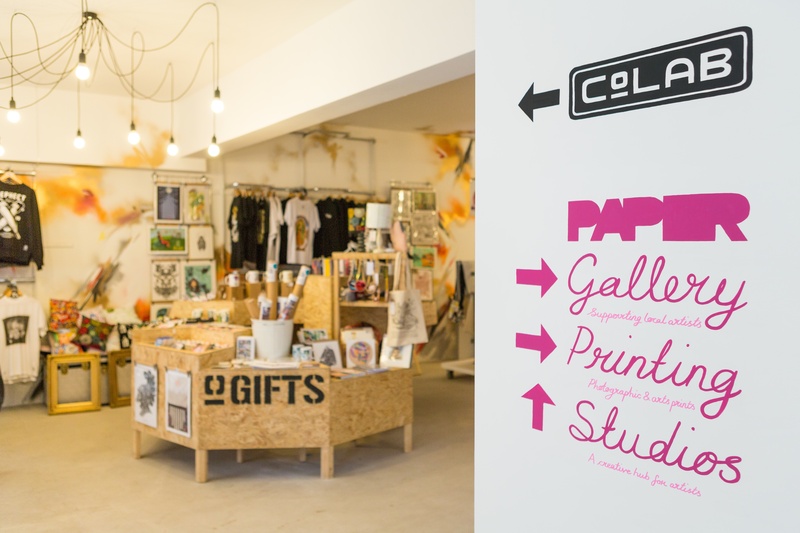 Downstairs is the PAPER gallery space, available for hire, and PAPER Printing, providing affordable art printing. Upstairs is used as artists’ studios, training spaces, photography studios and offices. 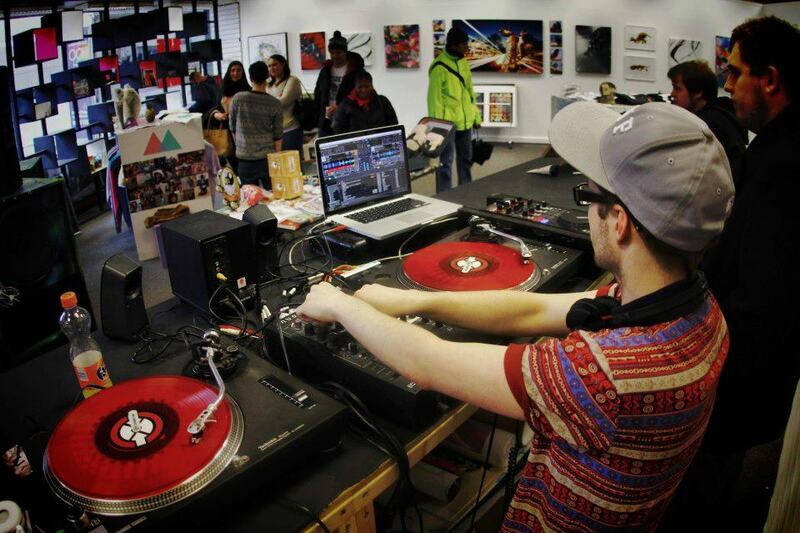 Artists who wish to sell their work in the store should email bristolcolab@yahoo.co.uk with examples of their work.